PatrickjouinID edition, 2004. Photo: Patrick Jouin. NEW YORK, NY.- In the latest edition of MADProjects, which explores emerging trends and innovations in the design world, the Museum of Arts and Design will present Patrick Jouin: From Kitchen to Table, the first solo exhibition at an American museum of the work of this prolific 42-year-old French designer. The show will open on November 9, 2010 and run through February 6, 2011. A protégé of Philippe Starck, Jouin established his own studio in 1999. Since then, the Paris-based designers career ascent has been meteoric, with projects spanning quite literally from the spoonZermatt flatware for Puiforcatto the citystreet furniture for Paris, including a self-cleaning lavatory. 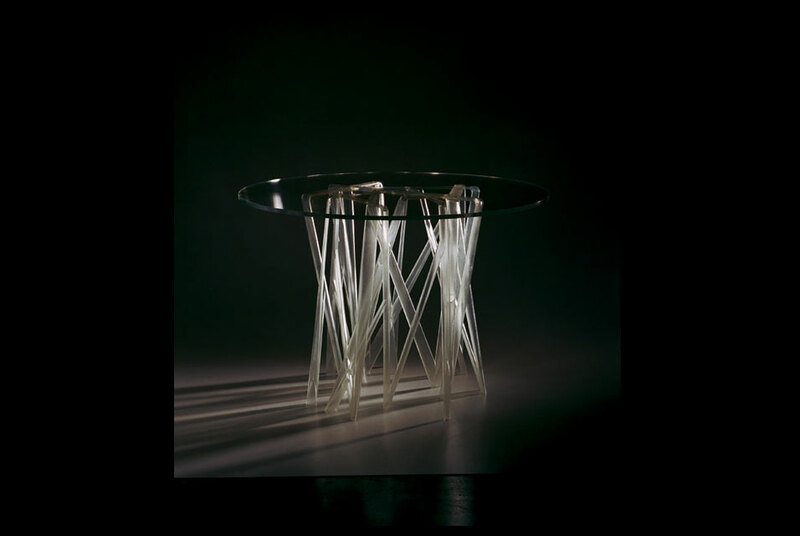 His technical wizardry has made him a master of material transformation, as perhaps best exemplified by his revolutionary 2005 Solid polyurethane and resin chair series, produced through stereolithography (3-D rapid prototyping). If Jouin has a trademark, it is elegant invention, whether it be a product like the Pasta Pot sauce pan for Alessi, conceived with the legendary chef Alain Ducasse, to cook pasta more efficiently, or a stunning ballroom chandelier, custom-crafted out of 13,000 undulating petals of unglazed cast porcelain biscuit, for a private residence he designed with his architecture partner Sanjit Manku in Kuala Lumpur. Despite his brilliance, Jouin has not cultivated an outsized design persona like his mentor, but has instead operated under the media radar, especially in the United States. This show will no doubt change that. From Kitchen to Table will feature a multimedia installation, conceived and produced by Jouin, which explores the nature of gesture when taking a culinary dish from food prep to service. Also on show will be 22 of his landmark designs for the domestic landscape, ranging from his Zermatt flatware to his C1 Solid chair. Celebrated for his show-stopping chandeliers, Jouin in collaboration with the Italian lighting company Leucos, will create a dramatic one-off light feature for MADs Lobby.